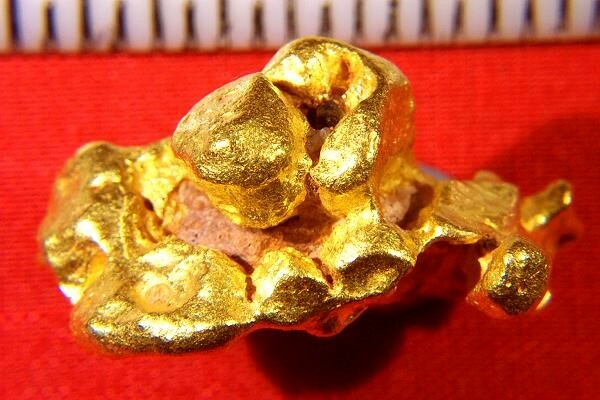 It is so rare to see a natural Australian Gold Nugget with gold crystals attached that it almost never happens. 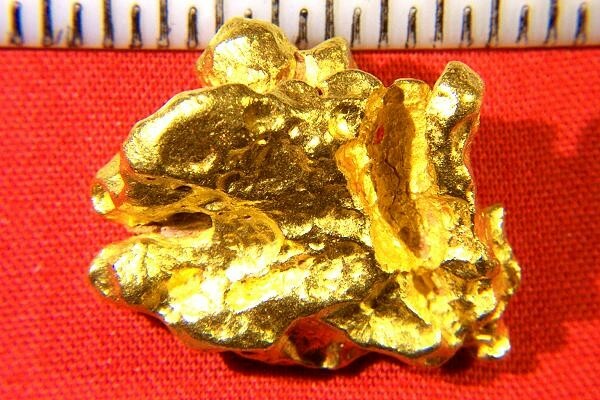 Especially one with such large gold crystals, and gold crystals that are so well defined on a placer nugget. This one is especially rare due to the number of crystals and the fact that the main large crystal is almost a perfect cube. You can see multiple cube formations and octahedrons with many naturally faceted surfaces. Only the edges have been worn a bit by the elements over the years. Also, you can see these crystals without magnification, very unusual and rare to see. 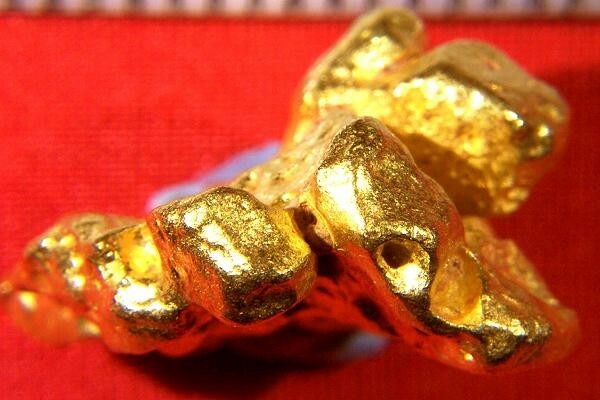 This is a one-of-a-kind rare natural gold nugget and you will probably never see an Australian gold nugget with such well defined crystals for sale ever again. 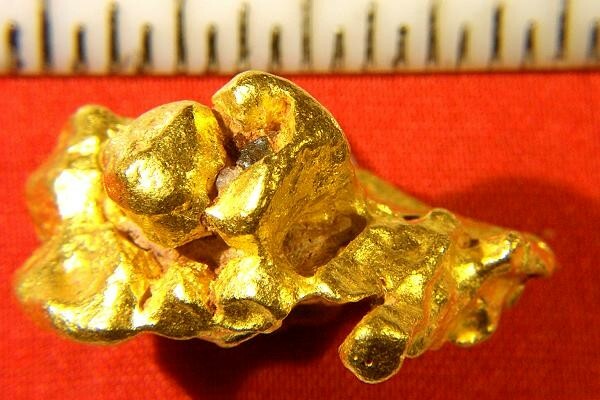 This amazing natural gold nugget specimen weighs in at a very hefty 26.6 Grams. It has multiple crystals and stunning color with a very brite surface. 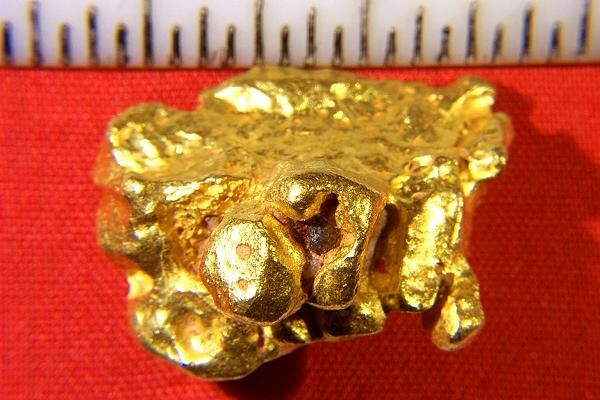 A jewelry/investment grade gold nugget for sure. 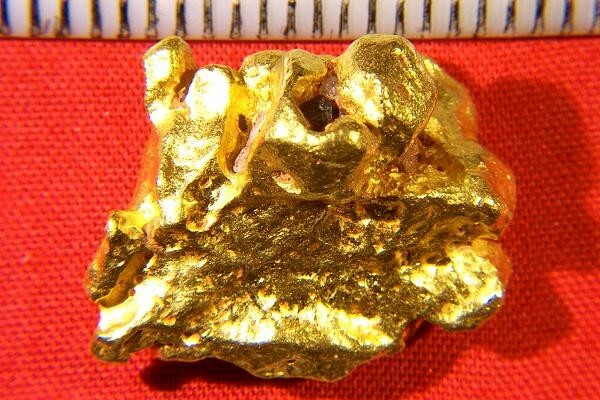 The purity is estimated at between 94% and 98% pure gold. This gorgeous natural gold nugget with gold crystals measures 1" (25 mm) long and it comes with a certificate of authenticity.